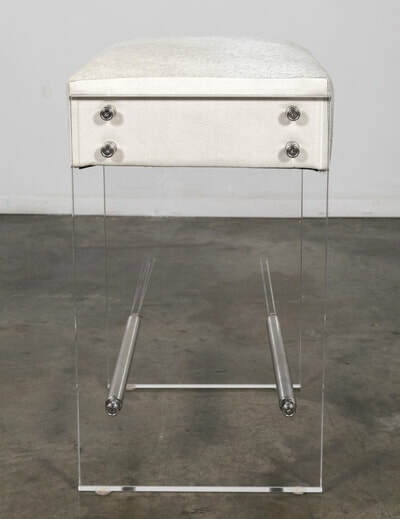 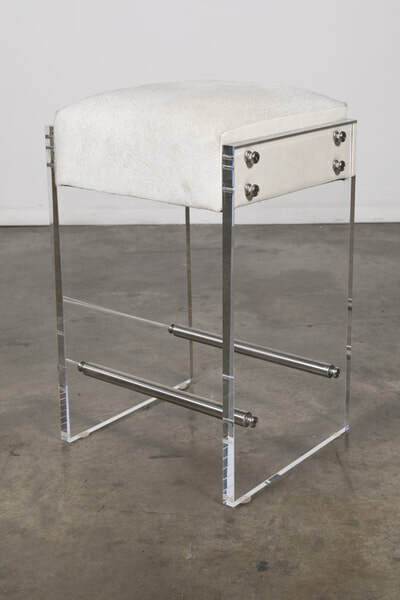 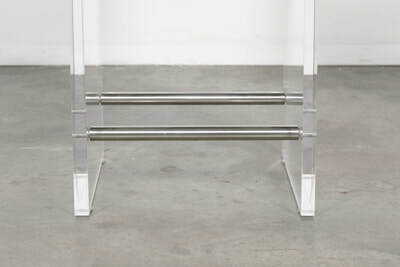 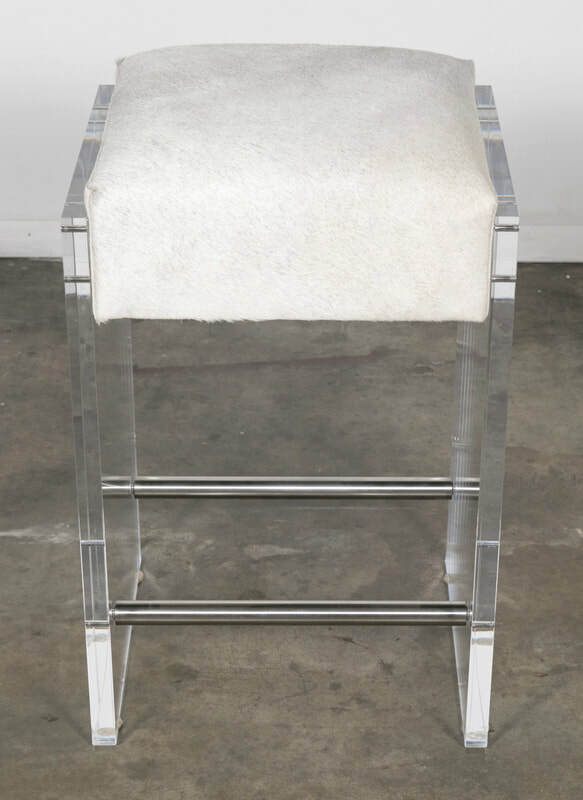 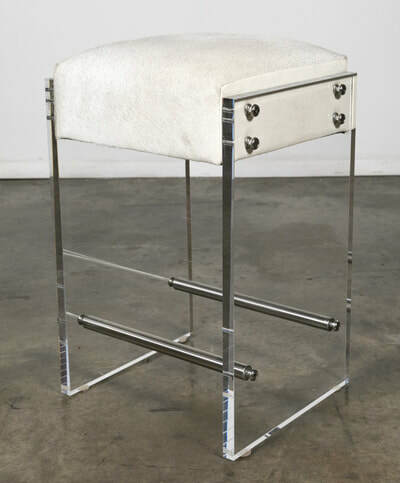 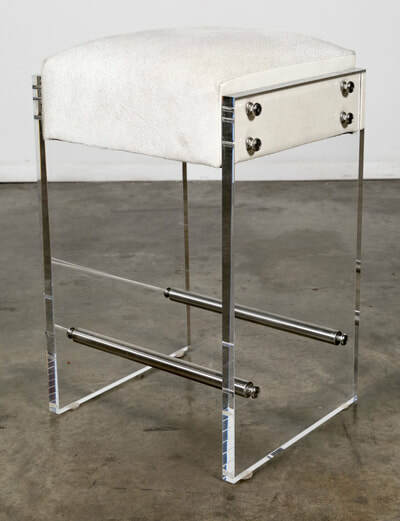 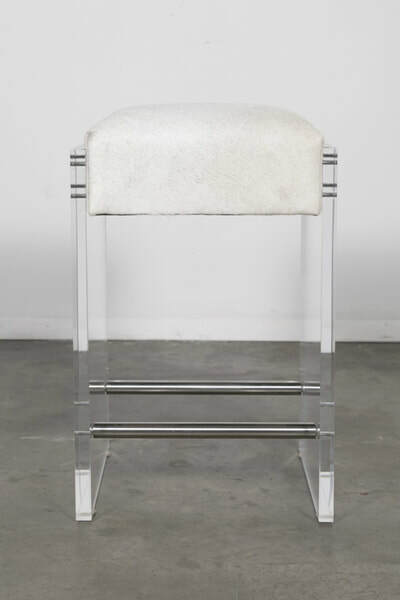 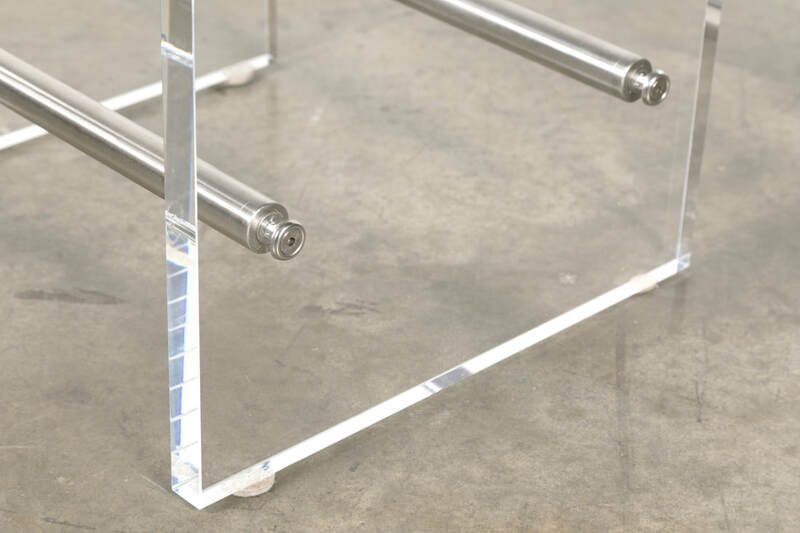 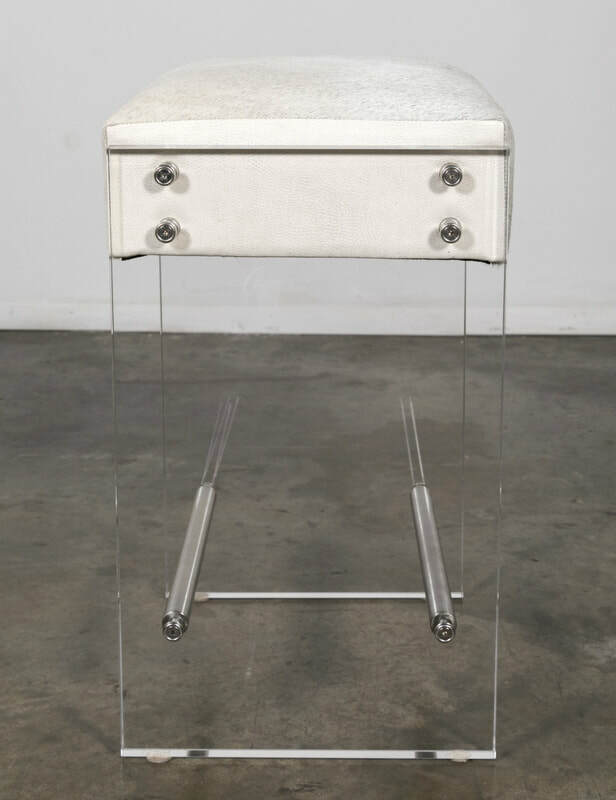 Gigi lucite and cowhide counter stool with two stainless footrests. 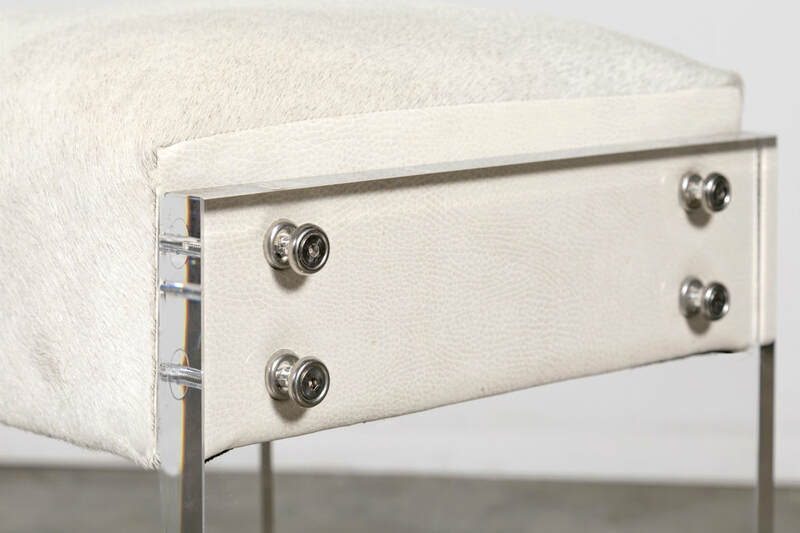 Add style and a touch of Hollywood glam to your decor. 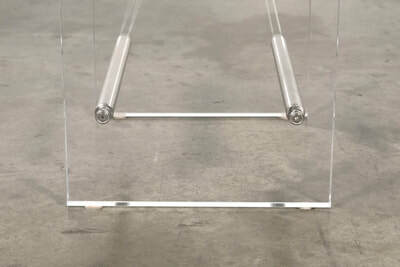 Modern acrylic frame fastens to cowhide seat featuring cream faux leather sides with polished stainless steel fasteners. 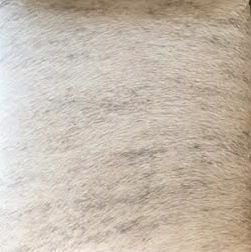 Natural hair on hide. Variations in color are to be expected. 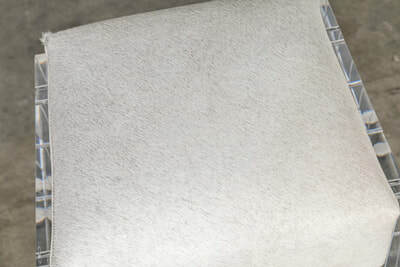 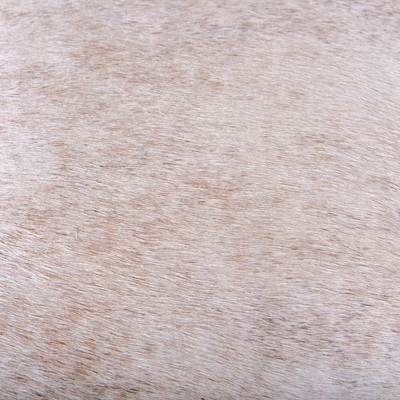 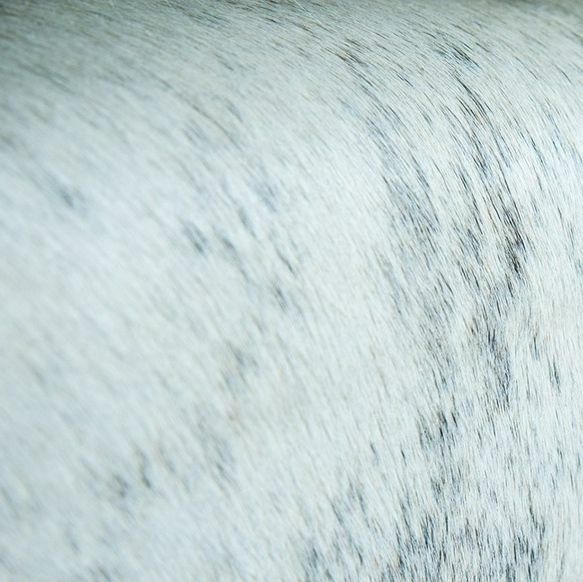 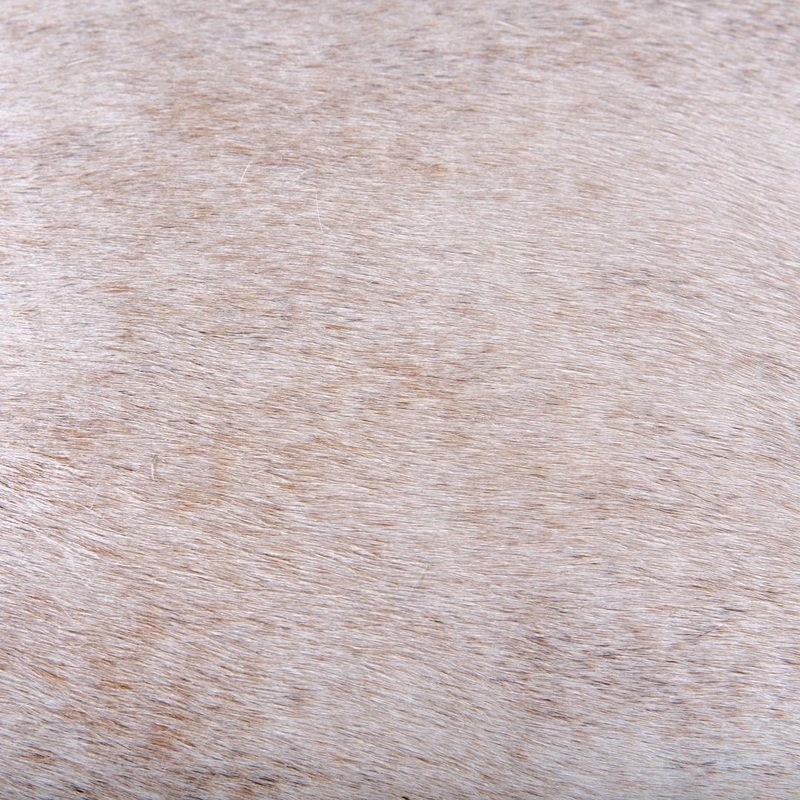 Colors vary from gray/white brindle to tan/white or gray/white. 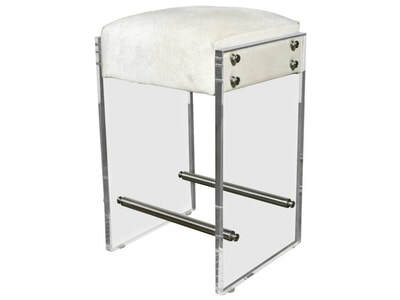 Bar height and vanity also available.